Let’s face it, on the inside we are all still big kids. When my best friend told me about Dragon Fly, I felt like a little boy hearing about remote control helicopters for the first time. Draganflyer X6, in particular, was the model my best friend was talking about. Think Military UAV, but in a helicopter. The device is intended for remote aerial photography, videography, and 3D Laser Scanning. 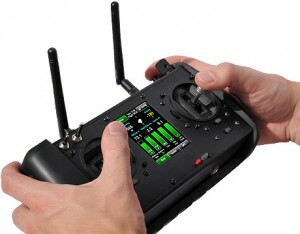 Imaging being able to fly a souped up remote control helicopter over a disaster scene a mile away, take photos of it, take video of it, record thermal images, or scan it to produce a 3D computer model. The Draganflyer X6 helicopter utilizes an innovative six-rotor design. The six rotors are arranged as three counter-rotating offset pairs mounted at the ends of the three arms, with matched sets of counter-rotating rotor blades. Not only does the unique design maximize thrust, it also minimizes sound output. Because the rotor blades are designed for maximum efficiency, they naturally produce less turbulence when spinning. And because the motors direct drive the rotors, no noisy gearing is required. At hover the Draganflyer X6 produces less than (approx. )65dB of sound at one meter (3 feet), and less than (approx. )60dB at three meters (9 feet). Founded in 1998 by Zenon and Christine Dragan, Draganfly Innovations Inc. started as a small mail-order business specializing in radio controlled flying machines. They soon began selling their unique, four-rotor helicopter, the Draganflyer. The Draganflyer was originally designed to be an easy-to-fly, low-maintenance helicopter which evolved into a camera platform and was then refined into the professional videography apparatus it is today. Dragan Draganfly Innovations Inc. creates machines that make a difference in the world. From flying outings in the park with our hobby line products to protecting emergency service personnel in dangerous situations via our high end, industrial platforms, we are constantly working towards delivering the best possible machines for our customers.